It's true, the kid in the second picture is not being sent to the gas chambers (yet). But here's the thing: she doesn't know that! This kid is two years old. All she knows is that her mother is being taken away, and she may or may not ever see her again. The government of the United States of America has run completely off the rails, and it has done so at the behest of its president, Donald J. Trump. There is no law requiring children to be separated from their parents. Donald Trump says there is, and he says that this non-existent law has something to do with Democrats, but as with nearly everything that comes out of his mouth, these are lies. Children are being treated inhumanely because Donald Trump wants it that way. He's using them as a kind of sick bargaining chip. Donald Trump is able to do this because Republican members of Congress fear losing their jobs if they stand up to him, and not without cause. Ultimately, Trump's power is rooted in tens of millions of American citizens who support him, whether tacitly or overtly. If you are one of them, remember: this kid is two years old. She may be here illegally (or maybe not -- a lot of these immigrants are legally seeking asylum) but she doesn't know that. What is being done to her is monstrous, and it is ultimately possible only because of you. 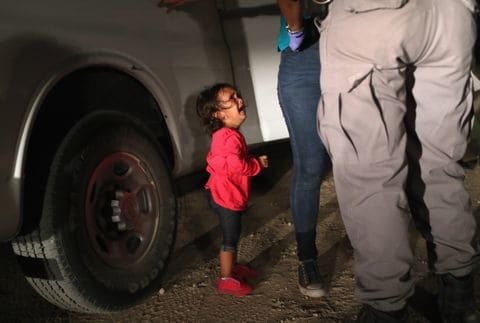 If you vote Republican this November, the damage to these innocent kids' psyches, and the blood that is shed when they are shipped back to the gang-infested countries they fled from, will be on your hands. >All she knows is that her mother is being taken away, and she may or may not ever see her again. 3) Afterwards, she picked up her daughter, who stopped crying. In other words, it's a picture of a child that is tired and thirsty. >There is no law requiring children to be separated from their parents. Case law, Reno v. Flores. >What is being done to her is monstrous, and it is ultimately possible only because of you. The Flores settlement doesn't allow children to be detained with their parents. Therefore, when the parents are arrested, the young migrants have to be separated from their parents and put in separate detention centers while the adults are prosecuted. Parents who are in jail for criminal behavior are separated from their children. Women in prison don't have their children with them. Pregnant women who give birth in prison have their infants taken away from them after 24 hours. Children are separated from their parents frequently -- such as this group of children at preschool. Or the parents go out of down and live the children with an aunt. Or hundreds of other reasons. A lot of these immigrants are illegally comitting asylum fraud. Generically, then, Mexico and any country south of it is "gang-infested"? Just how do the people living in the those countries get along? Why is coming to the United States better -- where there are 13,000 gun homicides per year? Also, it can damage the countries they are emigrating from; 33% of Salvadorans live outside of El Salvador! >It's true, the kid in the second picture is not being sent to the gas chambers (yet). Yet? What a disgusting thing to say about your country. It's an outrageous possibility and you know it. Finally, we come to your thesis. Which is wrong. There is no moral equivalence. It's simply intellectual laziness to claim that. In addition, it's also a risky comparison to assert. Comparisons go both ways. If you claim Trump is like Hitler, well, I can see what Trump is, so perhaps Hitler wasn't so bad after all. Then maybe it's true that has been written about Hitler since the war really is just Allied and Soviet propaganda. 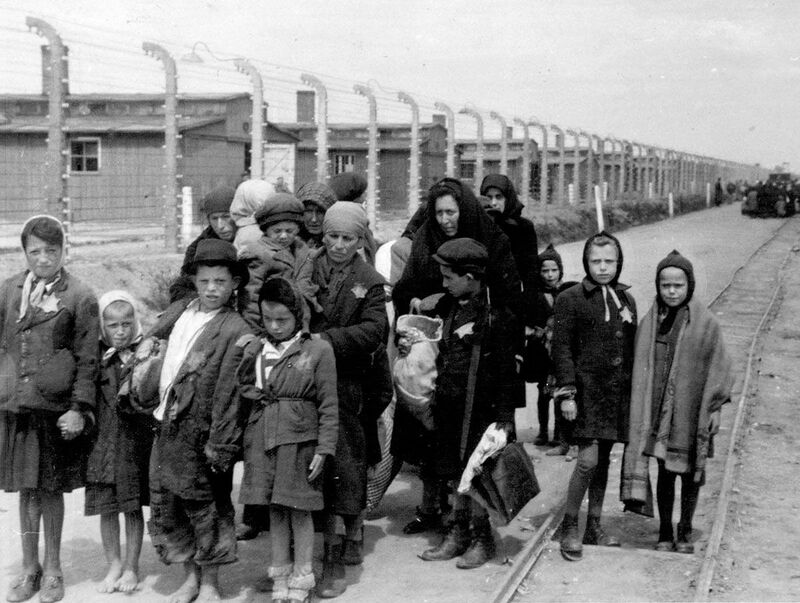 I can see the group of children today being sent to nice detention centers, so maybe it's true that the the death camps were really just relocation camps and the jews were simply shipped out of Germany and Poland. You diminish the Holocaust if you compare it to events that aren't equal to it (which is really hard to achieve; an example that approaches it is perhaps the Rwanda genocide). > It's an outrageous possibility and you know it. That is almost exactly what people said about Hitler when he first came to power. I know this because my grandparents fled Germany in 1935, and all of their friends told them they were being alarmist, that things wouldn't get that bad. None of their friends survived. By the time it became evident that Hitler really was that bad, it was much too late to do anything about it. >That is almost exactly what people said about Hitler when he first came to power. I know this because my grandparents fled Germany in 1935, and all of their friends told them they were being alarmist, that things wouldn't get that bad. I know this is your "closer" or "zinger," but it's also intellectually lazy. Such an anecdote is only of interest if the sitution in which it is said is very closely matched. When your parents emigrated from Germany in 1935, was it before or after the Nuremburg Laws were passed? Although it really doesn't matter - by 1935, there were plentry of concrete reasons for Jews to leave Germany -- Hitler's anti-Semitism, suspension of civil liberties, Nazi violence against Jews, laws impoverishing Jews. A lot of other Jews besides your parents also read the signs -- 60% got out before the start of World War 2. The above Hitler and Nazi Germany timeline also bears no resemblance to Trump and recent American history. It is therefore invalid to compare Trump to Hitler, and to say "the kid in the second picture is not being sent to the gas chambers (yet)." If you want to assert that it is valid, you'll have to do better than the story of your parents leaving Nazi Germany. Trump is more like Mussolini than Hitler [1,2] but that only makes him marginally less scary.